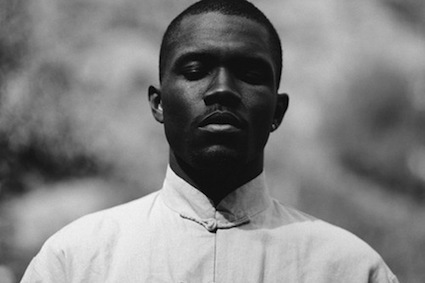 Frank Ocean became a prominent figure in music simply because of the music. He was just another guy with an iPhone and a Tumblr account when he released Nostalgia, Ultra in 2011. The sonic beauty of this album together with the roller coaster of emotions that it puts the listener through left us all wanting more. We saw him flip classics such as The Eagles’ Hotel California and MGMT’s Electric Feel into renditions that are rightfully his own. He has even been dubbed to be the modern Stevie Wonder with a hint of Marvin Gaye. With these giant comparisons, it should be obvious that Ocean is an artist who strives for perfection. His official debut, Channel Orange, came just a little over a year after Nostalgia, Ultra. This one as well was an excellent body of work that shattered all expectations and placed Ocean on an higher pedestal. His musings over past experiences, unrequited love, and drugs in almost surreal imagery still never failed to connect with us. Channel Orange showed that Ocean could be on track to become one of the greatest songwriters. I never get tired of referring people who haven’t heard of him to the ambitious, 10-minute epic that is his debut single, Pyramids. As a fan, I wish that Frank Ocean would release the album already. At the same time, this wait period for a new album has given me time to reflect on how timeless Ocean’s work is. It has also helped me realize how the internet-age has spoiled music fans everywhere. With artists like Future, Young Thug, and others releasing new projects every quarter, we are slowly becoming a culture of having no patience for art. We are starting to build up unrealistic expectations for how often artists should put out music. This will only take away from the quality of what we get. Music, one of the few human inventions that truly makes the world go round, has been cheapened and commercialized negatively for a long time now. It is thanks to the true artistry of people like Frank Ocean that society still sees an importance in music. An undeniable body of work never fails to spread like wildfire, which is what Frank Ocean always delivers. He should take as long as he needs to follow up Channel Orange because he is human afterall. Art isn’t supply and demand; that wouldn’t be genuine. Let’s not forget that D’Angelo took 14 years to follow up Voodoo or that Dr. Dre still never gave us Detox. Maybe this will teach our generation a lesson in waiting for music -- real music.